Ever wondered what the world’s most-played games are? You’re in luck! 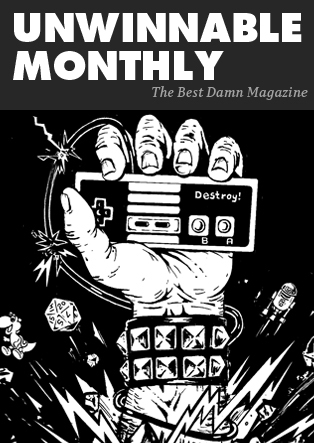 You’re about to find out the top 10 most played physical games and online games. Since sports are games too, they typically rank in the top 10 most played games in the world. The countdown begins now. One would be remiss for thinking that American Football is the most played game in the world. In fact, it’s soccer – a sport that is enjoyed by 3.5 billion people every year. Each soccer team comprises 11 players, and the objective of the game is to shoot the ball through your opponent’s goals. The world governing body for football is FIFA. Compared to American Football, soccer is exponentially more popular. Cricket is a little-known game to people in the United States, Mexico, and Latin America. But in Europe, India, Pakistan, Sri Lanka, South Africa, Australia, and New Zealand it is the ultimate sport. This game is watched by an estimated 3 billion people annually. Once again there are 11 players on each team, one side bats, and one side fields. There are multiple variants of cricket, including test match cricket, 50 over cricket, and T20. 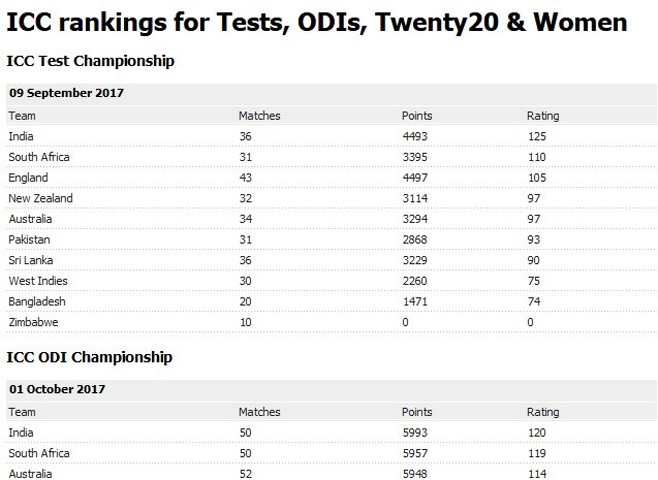 The ICC (International Cricket Council) is the world governing council for cricket. This game has been played for hundreds of years, and it was introduced to the world by England. Field hockey comes as another surprise on the list of top 10 most popular physical games and online games. This sport is enjoyed by 2 billion people every year. Otherwise known as hockey, each game is played by 2 teams of 11 players each. Hockey sticks are used, and the objective is to score goals in your opponent’s net. 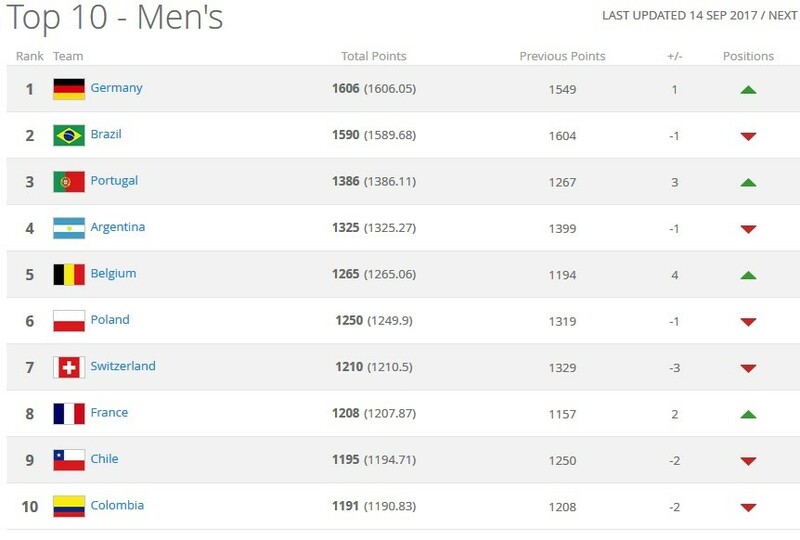 The IHF (International Hockey Federation) is the ranking organization for hockey tournaments. Hockey is played outdoors, like soccer and cricket. Tennis is widely enjoyed by players and fans all over the world. This game is a gender-neutral game, and some 1 billion people watch tennis annually. Tennis games are contested in 2 formats, singles or doubles. The International Tennis Federation (ITF) governs world tennis tournaments. Tennis was popularized in England in 1859, and it can be enjoyed in an indoor or outdoor format, at venues across the world. There are 4 major tournaments in tennis, including the U.S. Open, Wimbledon, the French Open and the Australian Open. When a player wins all 4 tournaments, they win the Grand Slam. Tennis and volleyball are a close 4 & 5. Some 1 billion people watch volleyball annually. This energetic game is enjoyed on a rectangular field of play, comprising 6 players per team. A net separates teams in the middle of the field of play. The goal is to have the opposing team drop the ball on the ground. Volleyball is available in multiple formats, including beach volleyball, indoor volleyball or outdoor volleyball. In the US, the #1 ranking women’s volleyball team is Florida with a total of 1592 points and a record of 9-0 for the week ending September 25, 2017. League of Legends has dominated the online gaming scene for 5 years. 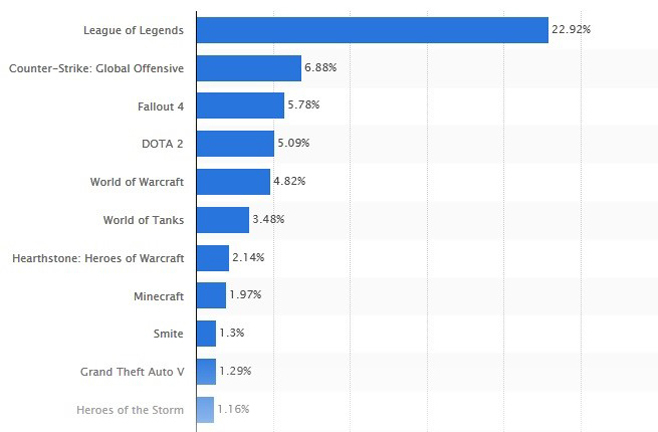 Consider that League of Legends was the most played PC game on gaming platform Raptr in 2015 by margin of 22.92%, followed close in tow by Counter-Strike: Global Offensive at 6.88%, Fallout 4 with 5.78%, DOTA 2 at 5.09%, and World of Warcraft at position 5 with 4.82%. Today, League of Legends sports 100 million+ players a month, and they enjoy over 1 billion hours of gameplay. 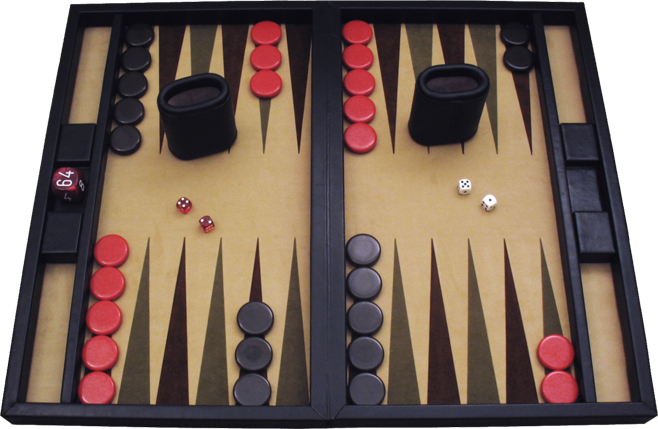 Backgammon has been around for decades. It became popularized in the 1920s, and gained momentum after World War one. Between 1940 and 1964, the game disappeared from the scene, but it was played in exclusive clubs and venues across the US and the UK. Fast-forward to 2010 and beyond, there is an uptick in tournament attendance and player numbers. Backgammon is enjoying a rapid resurgence in popularity, as evidenced by rising tournament payouts, and swelling player numbers. The game has its roots in ancient Egypt and Mesopotamia, yet it took millennia for it to evolve into the modern-day game that everyone enjoys. Card games have fascinated players for many years. The ancient Chinese were avid card game players, as were the Italians, the Spanish, and the French. Games like Blackjack, Poker and the like have enjoyed a resurgence in popularity with the advent of e-Gaming (online gaming). The rapid and widespread popularity of online casino games has facilitated multiple platforms for players to enjoy a treasure trove of card games. 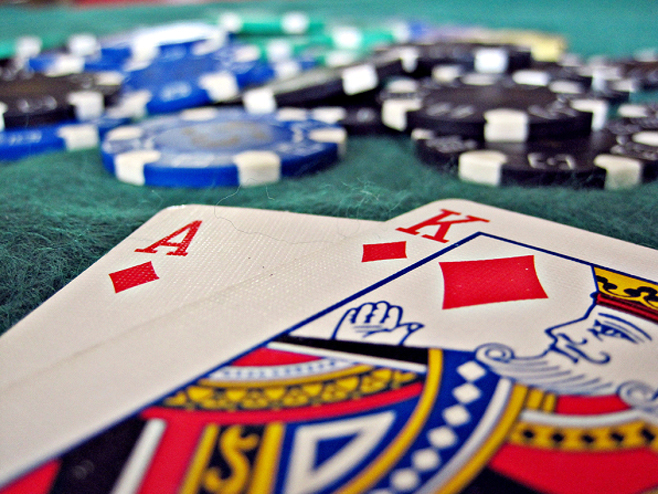 Online blackjack and poker top the list as the #1 strategy-based card games. 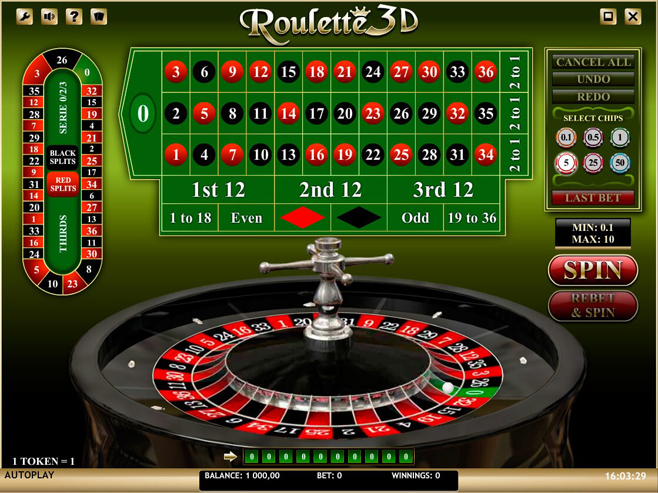 Roulette is a chance-based casino table game. The game has its roots in France, thanks to Blaise Pascal – a French mathematician and inventor. In his search for a perpetual motion machine, he conjured up a rudimentary roulette machine. The popularity of the game soon spread throughout Europe, and multiple variants emerged including French Roulette, European Roulette and ultimately American Roulette. With online gaming, Roulette’s popularity hit the stratosphere and is now enjoyed by millions of players worldwide. Online roulette games feature random number generators (RNGs) – computer programs that determine outcomes –, while live roulette games take place via streaming WebCam in real time. Chess is the ultimate strategy-based game available online and in a traditional format. The game is played with Pawns, Kings, bishops, Knights, Kings, Queens and Castles. Each piece has specific movements, and the goal is to completely Checkmate your opponent’s King. You do this by blocking your opponent’s King from moving in any direction. 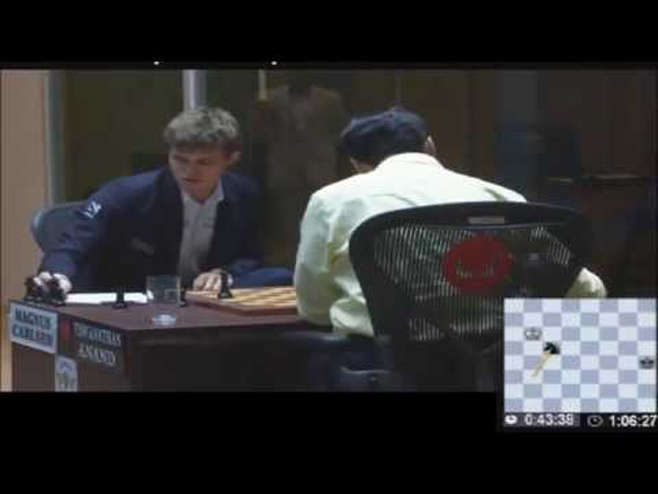 Chess is played on a board, or a virtual board with a black team and a white team. Which is Best? Online or Traditional Games? Both online and traditional forms of gaming have a huge audience. In fact, many entertainment options sport both options such as casinos (land-based casinos and their online casino equivalents). Online gaming offers multiple benefits over land-based gaming, namely cost considerations, comfort, and convenience. In terms of physical demands, sports like soccer, cricket, hockey, volleyball and the like exert more pressure on your body, but online gaming can be equally demanding in the sense that mental acuity, dexterity, focus and concentration must be at their premium. Proper nutrition, exercise and alertness are required in both formats.